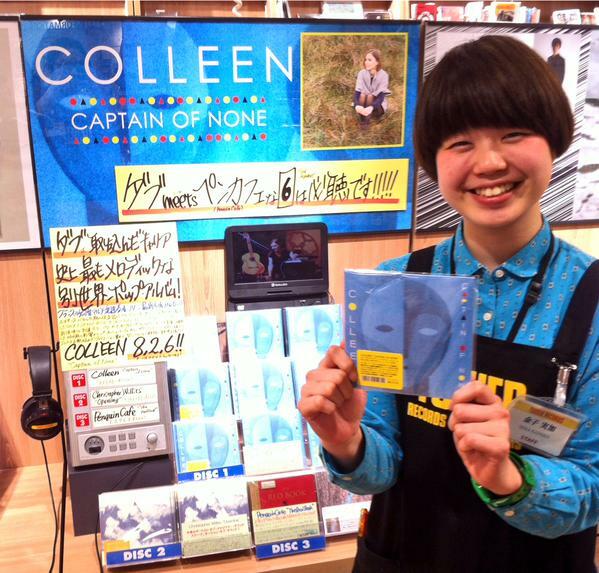 Bonus tracks for Japanese edition streaming and on Itunes, interviews, dub primer! 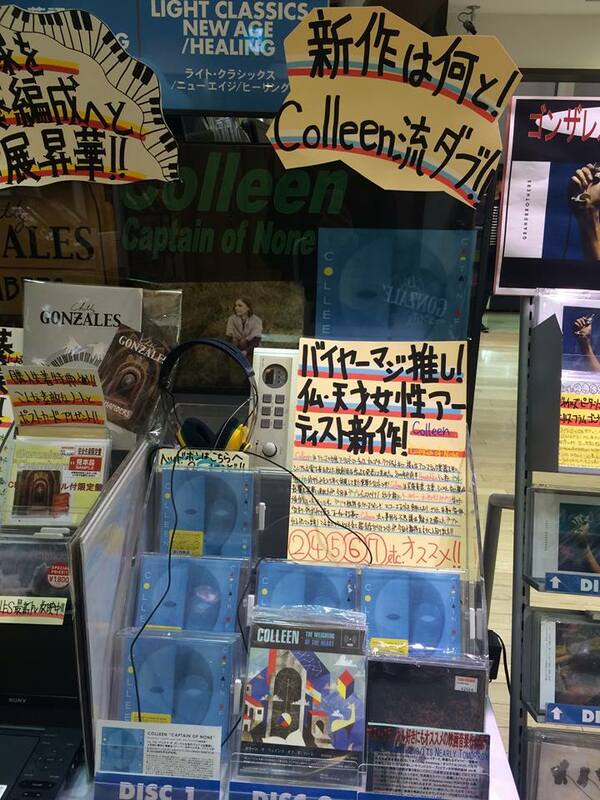 has been released in Japan by Plancha and I did two dub-influenced versions of both “I’m Kin” and “Captain of None” for the Japanese CD which you can now stream from the Thrill Jockey website and buy from Itunes (you can buy the whole album or buy the tracks individually). 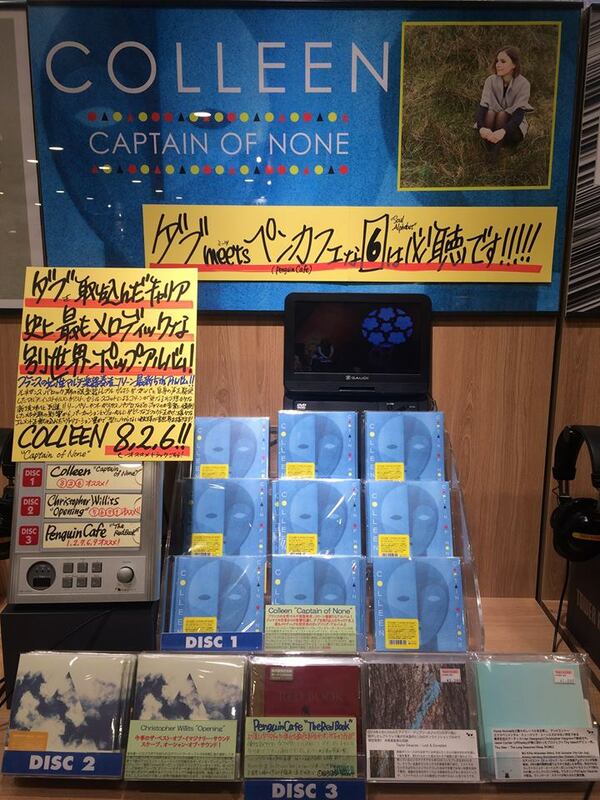 Here are some awesome photos of the album in Tower Records Shibuya and Tower Records Shinjuku in Tokyo last week! I had the pleasure of being interviewed for Fractured Air for an in-depth view of the album, its influences and how it was made. French readers can also find an interview with The Drone. Last but not least, I was asked by Self-Titled Magazine to choose 5 of my favorite Jamaican versions, so if you want to add some Jamaican dub goodness to your life head this way! « “Captain of None” video and interviews! You are currently reading Bonus tracks for Japanese edition streaming and on Itunes, interviews, dub primer! at colleen.